If you are starting a new custom t-shirt business, or thinking of adding custom printing to your existing business, you might be trying to decide between Direct to Garment (DTG) or Screen printing. If you’re reading this, we’re assuming you’re in the market to buy either a DTG printer or screen printing equipment. With that assumption, we won’t go into a deep dive of ‘how to’ use a DTG printer, or ‘how to’ screen print. This post is to highlight the pros and cons of DTG printing and screen printing so that you can make an educated decision based on your needs. DTG printing is known by many names: digital direct to garment printing, digital apparel printing, D2, and inkjet to garment printing. DTG Printing is a process of printing directly onto textiles and garments using specialized or modified inkjet technology. The three key components to any DTG printer are: 1) a way to hold the garment in a fixed position; 2) an inkjet print head; 3) and specialty inks (inkjet textile inks). Inks are applied to the textile or garment directly by the print head and are absorbed by the garment’s fibers. Much like printing on paper with your desktop printer. Two of the primary advantages of DTG printing are the lack of set-up costs and the extremely quick turnaround times. This allows business owner to easily print one-off custom projects directly from the computer. All that is needed is a digital design file, and you can send the project to the printer. The comparative disadvantage of DTG printing is the equipment maintenance that is not associated with screen printing. We’re assuming you know the general rundown on screen printing… it involves pushing ink through a woven mesh stencil (the screen) onto fabric. In order to do this screen printing involves a larger upfront investment to buy screens, UV lights, printing press, dryers, and more. A major advantage of screen printing is that once you have all the equipment, large quantities of relatively simple designs are very cost effective. Once a one-color setup is ready to go, it’s quite easy to print on very large quantities. 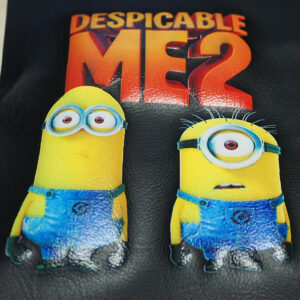 Both DTG printing and screen printing yield comparable quality printing, but they differ in the delivery method. Screen printing involves manually pushing ink through a screen onto the fabric, while DTG printing uses a printer to print ink directly onto a garment. For shop owners, the decision between DTG printing and screen printing really comes down to 1) startup costs, 2) print batch size, and 3) the designs you are printing.